Home / Buying Guides / QUIZ: What is Your Mattress IQ? QUIZ: What is Your Mattress IQ? 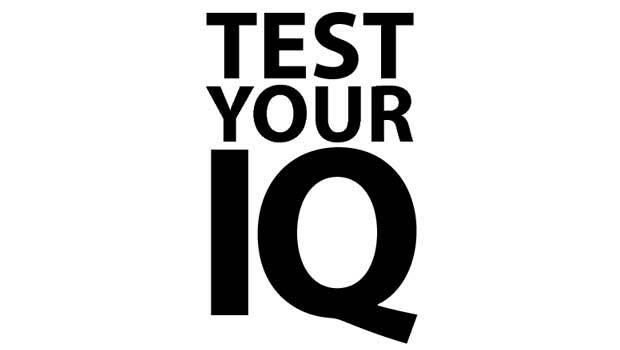 Test your Mattress IQ with our quiz to see if your a genius or newbie! Think you’re an expert when it comes to mattresses? At Sleep Junkie, we take sleep seriously, and big part of sleeping well depends on choosing a good mattress. And, a big part of choosing a good bed is being knowledgable about your options. 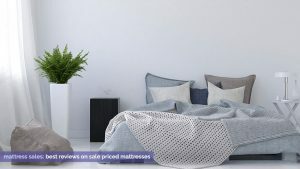 The more familiar you are with common terms and materials, pros and cons, and industry practices, the better position you are in to compare mattresses and negotiate with salespeople. Our quiz takes a look at important mattress facts and trivia to help you determine how much you really know about beds. Test yourself and see how you score! Take the Mattress IQ quiz below, then read on for more detailed information and explanations about mattresses and what you should know before buying a new bed. After you answer the questions, you;ll be able to review your answers and detailed explanations for each question. Good luck! What’s Your Mattress IQ Rank? Mattress Genius – Know-it-all! You’re the Albert Einstein of beds. Savvy Shopper – You know more the average consumer, good job! Average Joe – You know a fair amount, but could use some help. Bed Beginner – You know the basics, keep on learning! Mattress Newbie – Your mattress knowledge is limited. Research more to make shopping easier. If you earned the rank of a “Mattress Genius”, you probably already know it all and can tackle shopping for a bed with ease. But if you weren’t as lucky with your score, it might be helpful to spend some more time researching. Being an educated and informed consumer can help make the shopping process easier, and can help you pick out a better bed (and get a better deal). Here is our list of the most important things to know before shopping. We’ve also included links to previous guides and resources to help you get started. Learn About the Mattress Types. You are the determining factor when it comes to identifying the best mattress, as there is no universal best bed. The position you sleep in, your body size, and your preferences (as well as those of your partner) should all be considered before choosing a bed. Take some time and “take inventory” of how you will use the mattress and what you want in your next bed. This will help focus your search and articulating your wants can also help salespeople point you towards the best matches. Which position do you sleep in most often? Back sleepers do best with firmer beds that support back alignment, while side sleepers need a bed that can accommodate the curves of their hips and shoulders. Are you average-sized or above average? According to SleepLikeTheDead (SLTD)’s surveys, people who weigh between 200-250 lbs prefer mattresses over 10″ thick, people 250-300 lbs prefer beds over 12″ thick, and people over 300 lbs do best with beds over 14″ thick. They also find that memory foam and latex foam are more suitable for heavy people than the other mattress types. Do you have any health issues to consider? For example, with back pain, you need support; with sleep apnea, upper body elevation may help; with arthritis, pressure relief and ease of movement are priority. For these and other concerns, read reviews and research what the best mattress options are. Do you sleep better on firmer or softer surfaces? Think of the beds on which you’ve had the best sleep, and how you feel about your current bed. How will you use the bed? Will it be your permanent everyday mattress, or a guest or occasional bed? Do you usually sleep alone or with a partner? How what size will you need? Do you have any other concerns or preferences? Make note if your partner’s movements affect your sleep, if the slightest noise can wake you, or if you have any other specific concerns to address. Take your time when shopping for a new bed and explore several types and brands. Remember, you will be sleeping on this product for 1/3 of each day for several years. It is also wise to compare your local options with online retailers. You will likely find a wider selection and possibly more competitive pricing and return policies online. This is doubly true if you are searching for a specialty mattress like memory foam, natural latex or waterbeds. 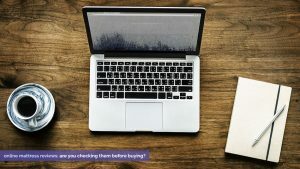 The internet is also an excellent source for owner reviews, which you can find on retailer websites, consumer review websites, and on forums and other websites. Start by looking at a broad range of mattresses, then narrow your selection based on your list of preferences, reviews, quality and value. Mattresses can be confusing to shop for, and some retailers have an incentive to make comparison shopping difficult. Major name brands often will sell “exclusive” lines to different retailers which may have slight changes, such as different fabric covers or slightly different layers. These exclusive lines are beneficial for retailers because they don’t have to compete directly with other shops, and thus can enjoy better profit margins. Other retailers will also drastically inflate pricing in order to offer eye-catching mega-sales, such as 50-75% off in order to give the perception of a great deal, and to create urgency. Focus on what you find comfortable and what is under the covers. A retailer should be able to tell you exactly what is inside the bed, and this is the information that you will want to use when comparing options and determining which is the best value. Each mattress type has different specifications and markers of quality to consider. For innerspring beds, you’ll want to look at coil type and coil count, and the type and thickness of the padding layers. For memory foam beds, you’ll want to look at the density of the memory and core foam layers, the type of foam, and the cover material. For latex beds, you want to know the composition and manufacturing method of the latex, layer thickness, cover material, and whether there are any filler layers. For waterbeds, you’d look at vinyl thickness, corner/seam durability, and internal fiber layers. And for all mattress types, you’d also want to inquire about warranty terms and return policies. Know That Brands Aren’t Everything. Just because a brand is famous or popular doesn’t make it the best mattress or the best deal, and vice versa. Many of the larger companies like Serta, Sealy, and Simmons have only average satisfaction levels compared to their peers. Expensive mattresses also do not guarantee better sleep, as explained numerous times in Consumer Reports’s mattress guides. Again, your personal preferences and the beds’ components are the most important considerations when shopping. With a little reading and research, every consumer can shop like a mattress genius. We hope this quiz and guide have provided you with some useful information to boost your bed IQ and shopping confidence. If you have any other mattress questions you want answered, feel free to leave them in the comments below! Sweet, 20 out of 20.